Which one is better between Dropbox and Google Drive? Check this comparison guide to find the answer. Nowadays, more and more people using cloud storage service to store all kinds of files. It lets us easily make a backup and access the files on any device. 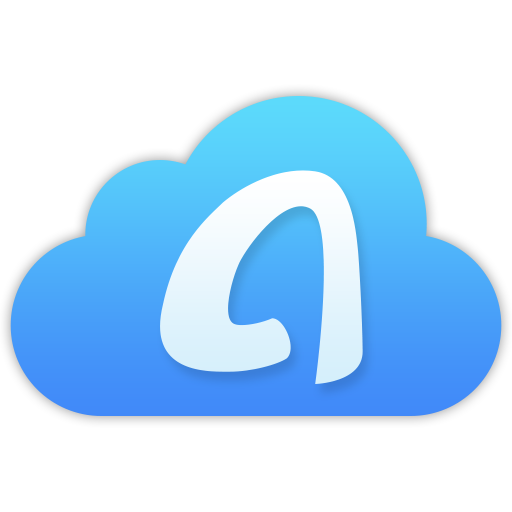 Since there are quite a few cloud services, which one should you choose? To help you make a decision, here in this guide we mainly discuss the comparison between Google Drive and Dropbox from 3 aspects. You can first read and then choose one as per your needs. Dropbox is one file hosting service operated by Dropbox Inc., which was founded in 2007. It helps users keep the same files up-to-date on all devices, so you can access your files on any device when connected to the Internet. Offers limited storage free account, and paid account with more storage as well as more features like sharing control, remote wipe etc. As of 2016, Dropbox has 500 million users. Supported devices: Windows, Mac, Linux, Android, iPhone/iPad, Windows phone and tablet, Web-based. Google Drive is a file storage and synchronization service operated by Google, first launched in 2012. It allows users to store files, sync files among devices and share files. Google is the best search engine in the world, and Google Drive lets you easily find any file via the Google search feature. Besides that, it also lets you edit documents, spreadsheets, presentations etc. and directly save them in Google Drive. By May 2017, Google Drive has 800 million users. Supported devices: Windows, Mac, Android, iPhone/iPad, Web-based. Dropbox lets you sync files across kinds of devices and platforms, even Linux computer that most cloud services not support. Thanks to the block-level file transfer algorithm, Dropbox remains ahead of the folders sync. The file is synced to the cloud once it is uploaded to Dropbox. You can also choose to sync selectively, turn off/on sync for specific folders, and the folder will be removed from the hard drive and only stored in cloud. For Dropbox Professional subscribers, there is a feature named “smart sync”, which lets you see the folder even if sync is turned off. Google Drive also lets you sync folders just like the Dropbox. But Google Drive does not support block-level copying, its speed is lower than Dropbox. Also offers selective sync, but if you choose to turn off the sync, the folder will no longer show up. By the way, if you are using Gmail, you can send attachments and large files through Google Drive. Also allow you to send invitation links to your Gmail contacts, then work on documents or spreadsheets on line together. Both Dropbox and Google Drive let you share files to others. Send the file to specific people or create a link that can be shared on social media platforms. For Dropbox Professional subscribers, you can add link passwords, expiry dates and download limits, while Google Drive does not support. As for the sharing limitation, Dropbox will not allow others to edit the files you share, unless you create a sharing folder that you can enable the edit permissions. Google Drive is kind of more convenient, as it lets you enable the permissions based on email address. Dropbox encrypts your data to a 128-bit AES standard while files are in motion, and then to a 256-bit AES standard when at rest. And you can also turn on two-factor authentication to prevent others access your account. Google Drive uses 256-bit AES encryption with files in transit and 128-bit AES encryption when at rest. Also support two-factor authentication. Both two cloud services will keep your data safe. As for privacy, Dropbox is much better to some degree, it gets five-star privacy rating by Electronic Frontier Foundation, while Google Drive was given four-star. Since Google Drive does not stand up to national security letter (NSL) gag orders, which prevent companies from informing their users that their data has been requisitioned by authorities. That’s all about Dropbox vs Google Drive. We have listed 3 points you may concern, hope it can help you make a decision. If you like this guide, just share it with your friends.